A dear friend recounted to me the other day, her memory of the most beautiful cake she had ever seen. 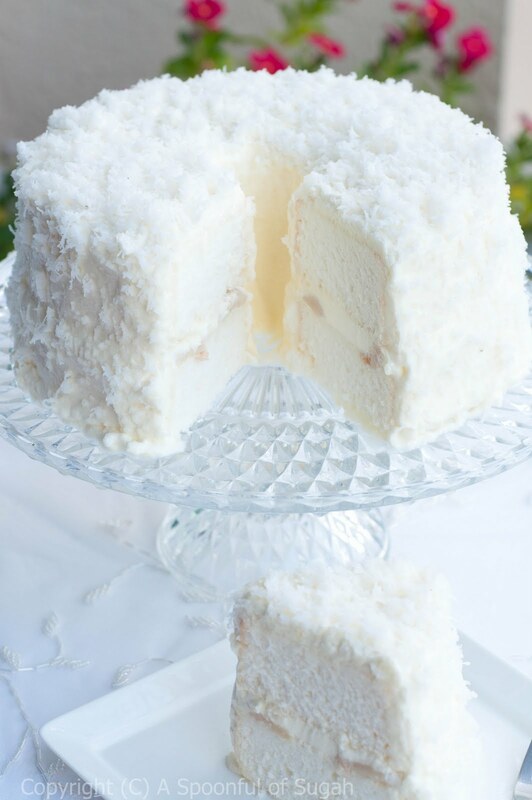 She was a little girl then, and her mother brought home a tall cake that was pristine white, covered with snow-white frosting and sprinkled all over with coconut. What made the cake so special was that it was completely white, like a cloud, without a speck of any other colour. That image of a little girl, completely enraptured by this dreamy confection, inspired me to make one too. Naturally, the cake base for my ethereal vision had to be an angel cake. The angel cake is one of my favourite cakes for several reasons, not least of which is that it is completely FAT-FREE and naturally low in cholesterol (since there are no egg yolks). The fact that it is comprised predominantly of egg whites also means that it is a great source of body-building protein; which makes it possibly the only cake which might actually help you to build muscle. But perhaps the most beautiful thing about an angel cake is that, in sea of pedestrian yellow and brown cakes, it stands elegantly white. Such a delicate cake must be paired carefully with similarly delicate flavours that will not overwhelm it. In the end, I chose the refreshing tropical flavours of white-fleshed lychees and coconut. 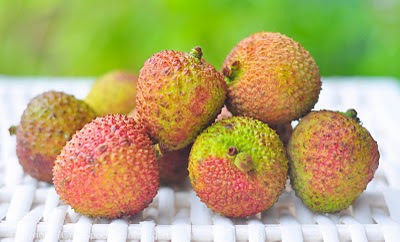 Incidentally, while picking up red lychees at the market the other day, I chanced upon the brown lychees below from Brazil. 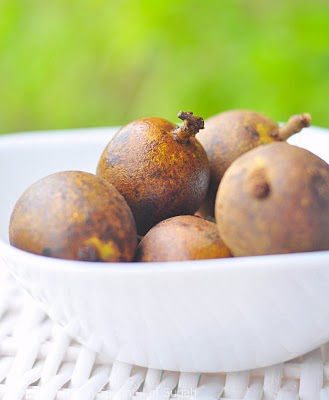 Unfortunately I couldn't use them in the cake, as they were not as sweet, and had a faint aftertaste that reminded me too much of (of all things!) of durian. Interesting, but ... nah. I had a wonderful baking day with this cake (which kind of made up for my recent harrowing experience with the Strawberry Shortcake). The angel cake baked up nice and tall. Once trimmed of its brown outer crust, it looked as if I had a big piece of cotton resting on my cooling rack! I split the cake into 2 layers, brushed them lightly with lychee syrup, and folded fresh lychees into a whipped lychee-almond cream that went between and over the layers. Lastly, a confetti-like coat of finely-shredded fresh coconut completed the look. I've heard someone exclaim once that eating a piece of the Ispahan cake (also made from an angel cake base) was like eating air. 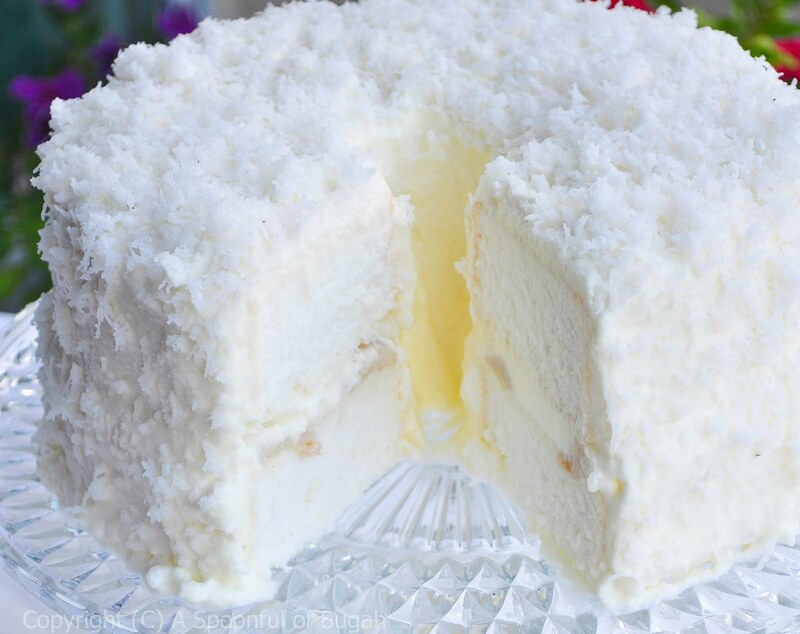 Well if that is true, then a slice of this Lychee and Coconut Angel Cake would certainly feel like having a bit of a fluffy tropical cloud on your fork. Preheat oven to 170C. Whisk together the ¾ cup less one tbsp caster sugar, together with cake flour, set aside. Oh my!!!! It looks amazing!!! Your cake looks so beautiful! WOW!! Such a white cake!! I love lychee!! Must be delicious!